Journal of Disaster FactSheets accepts papers submitted by both JSCE members and non-members. This Journal is prepared to provide a web site for international information exchange on various natural disaster investigations as soon as possible. No specific deadline is set. Paper should be submitted to The Editorial Committee of Journal of Disaster FactSheets. (1) Papers must deal with natural disaster investigations. (2) Papers must be described on the accurate and rational basis. (3) Papers should be written in English. (4) Papers have not been published elsewhere. (5) Papers have not been submitted for publication elsewhere. Papers must be fully elaborated on the basis of the Guidelines for Submission of this Journal. (1) Papers are peer-reviewed by editorial members of this Journal during the shortest period. (2) The Sub-Committee reviews papers and determines eligibility for publication. 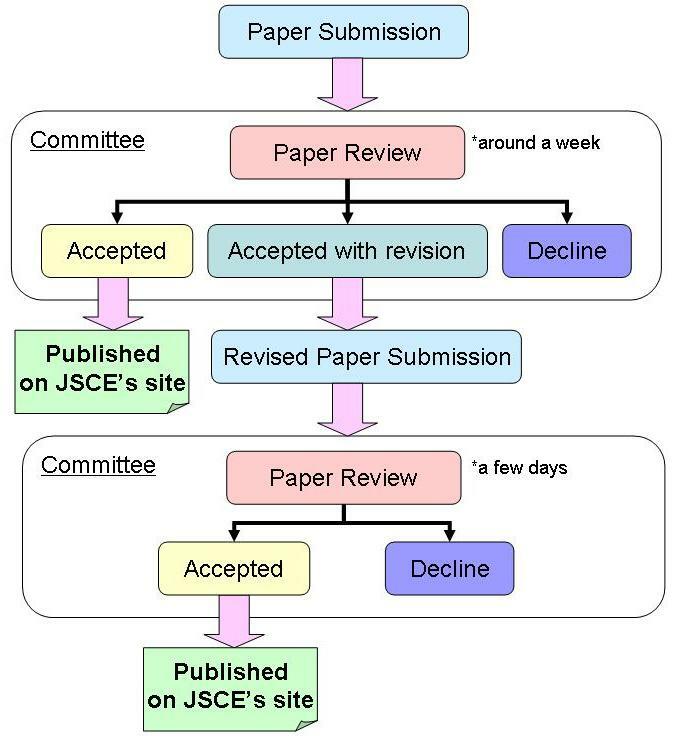 (3) If the paper is rejected for publication, the reviewing result will be informed to the authors.